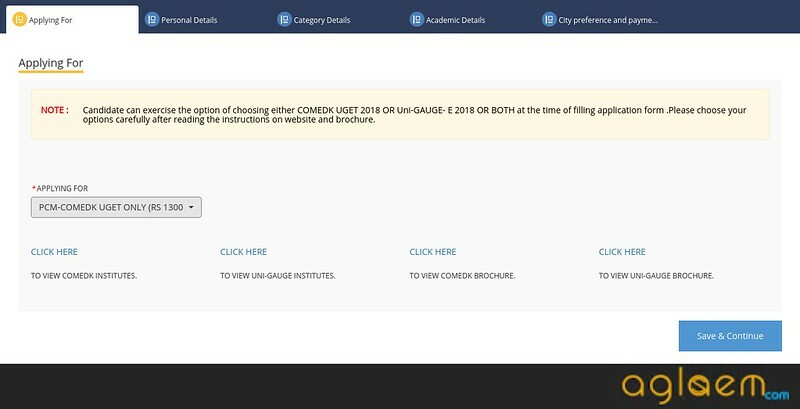 COMEDK UGET Application Form 2018 is in online mode. 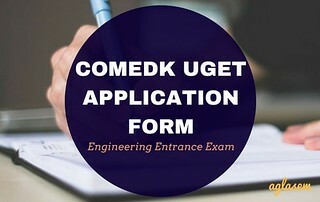 COMEDK UGET 2018 Application Form should be filled by eligible candidates at comedk.org. All the fields must be filled. Candidates must also pay the application fee. Instructions on how to apply with step by step instructions are made available for ready reference of applicants. It is advisable to read guidelines as well as complete COMEDK UGET 2018 information brochure before applying. Candidates must submit the completely filled application form before the last date. User ID and Password generated or created during registration process must be noted for future reference. Those who complete COMEDK UGET Registration 2018 can download COMEDK UGET 2018 Admit Card to appear in the engineering entrance exam COMEDK Under Graduate Entrance Test scheduled to be held on May 13, 2018. Latest: The last date of COMEDK UGET Application Form 2018 has been extended. 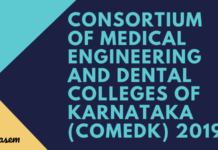 Consortium of Medical Engineering and Dental Colleges of Karnataka has released COMEDK UGET Application Form 2018. Candidates must apply as per schedule. Read instructions to apply and information brochure before proceeding. Candidates must fill all the fields in the online application form. Also, all details should be correct. Link to apply will be available here as soon as it is available. 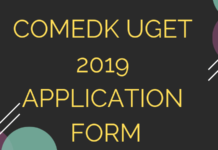 Apply here: Click Here to apply for COMEDK UGET 2018. It is compulsory to fill all fields in registration. Candidate must enter a valid email ID and mobile number in COMEDK UGET 2018 Registration which will remain active until the end of the admission process, around June/July. Candidate cannot edit email ID which was used for registration. It is advisable to check all details before submitting the form. Keep User ID and password safely. Candidate should fill a single COMEDK UGET 2018 Application Form only. The following is a list of few fields that may require explanations. Almost all fields are self-explanatory. Candidates will be easily able to understand what each field requires by seeing the title against that field. Name of the applicant: Candidate should enter full Name as it appears in his/her SSLC or class 10th marks sheet. Date of Birth: Candidate should enter date of birth exactly as it is in his/her SSLC or class 10th marks sheet. Email-ID: Please use own email ID which will be easily accessible at all times. Mobile No: Please use own mobile number which will be easily accessible at all times. Unique ID Proof: Candidate should select that ID proof which he/she can bring on day of exam and admission process. This can include voter ID, passport, driving license, Aadhar Card. Candidate will upload following documents as per following specifications. The application fee is as follows. Candidate will have to register themselves on the official website www.comedk.org. 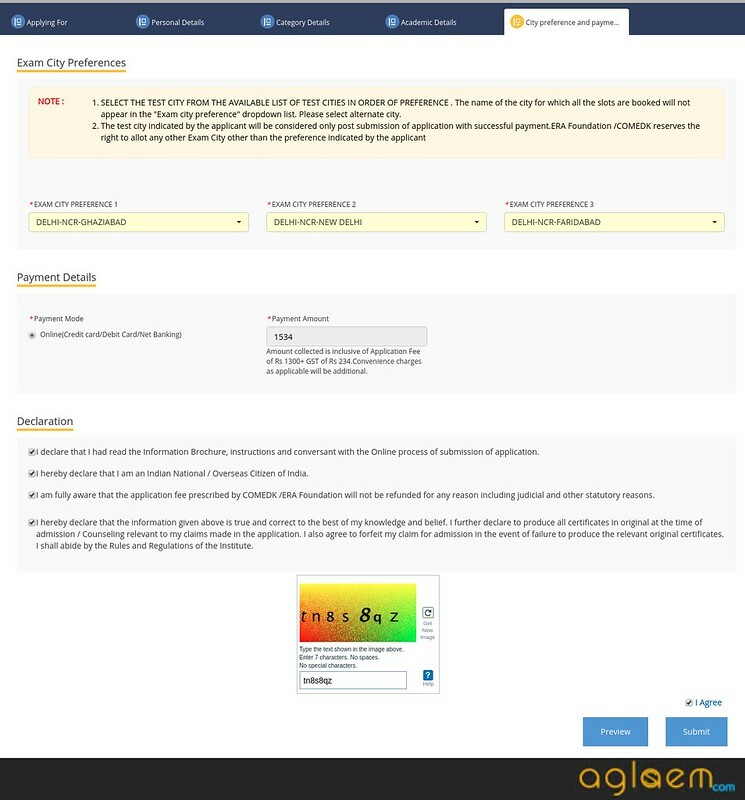 Enter the details required for the registration process as shown in the screenshot below. 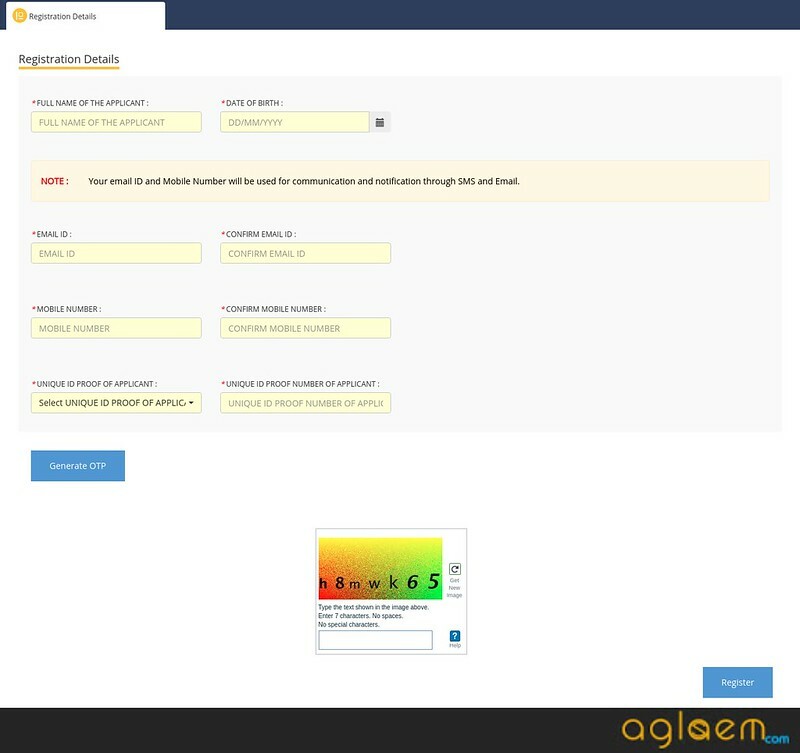 After the successful registration, the system will generate a unique User ID and Password. 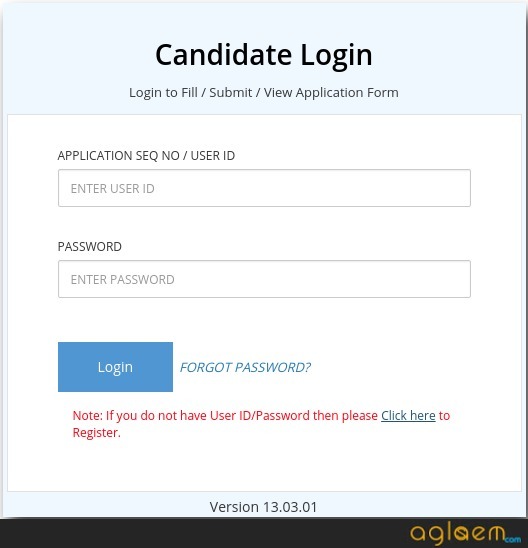 Candidate will have to Log In on the website using the unique User ID and Password and start filling the application form. Candidates will have to fill the complete details being asked such as courses to which a candidate will apply, personal details, category details, academic details, city preference and fees payment. All the details entered will have to be correct and saved. After entering all the details, the candidate must take a preview of the application form to check it. After checking it, the candidate will have to enter the Submit button for the final submission of the application form. *Note – Candidate must fill the application form only after reading the instructions mentioned above and in the brochure; no modification option will be provided to the candidates once the application form will be submitted. Applications without any of the mandatory documents / informations will be summarily rejected; they will not be considered for processing. Applications with incomplete / incorrect details can be rejected at any time. The candidates whose applications are rejected or wish to reapply for any reason can fill up a new application online and submit the same by making the new payment before the last date of application. However they should register again with a new Email ID, fill the online application form and submit the same online before last day. 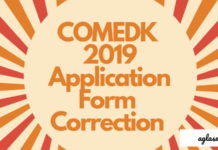 COMEDK does not take responsibility to inform such of those candidates individually whose application is rejected through the reason for rejections would be hosted in the official website under applicant login / communicated via email.